Our afternoon beginners’ package is ideal for your first time on cross country skis. 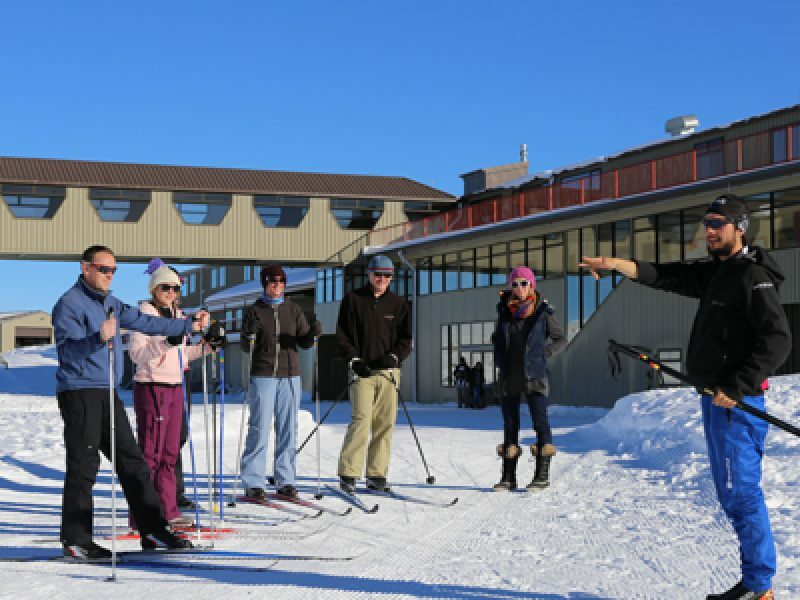 Not only do you get a trail pass and skis/boots/poles for the day, but also a one-hour introductory group classic lesson. Beginner lessons start with putting your gear on and falling over and getting up safely. The instructor will then move into techniques for moving on flat terrain, as well as uphill and downhill techniques. This lesson will leave you feeling confident and ready to master beginner terrain on our trail system. If you are a family and have children 6 or under, we are not able to accomodate them in our normal beginner lessons, however you can book them a private lesson for $70 and if you wish you can add additional people for $40 each, or you can book a family private for $150 for up to 5 people.